Black Sand | Zonyxa. Unique and contemporary jewellery for Work. Love. Play. This sensuous necklace transports you to the glamorous times of Great Gatsby. 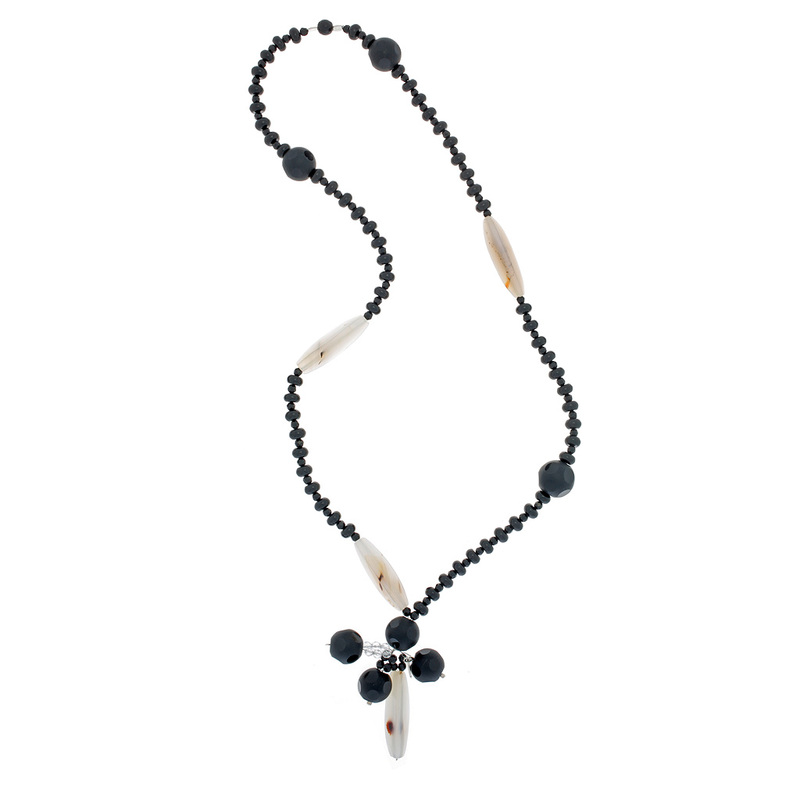 The milky triangular agate is beautiful to the touch and is presented here with matt onyx asteroid balls on black roping of smooth onyx roundels and faceted balls. The finishing flourish is a pendant fashioned from four onyx asteroid balls, onyx and crystal beads with a triangular lozenge of agate as a “full-stop”. Stunning against a white, red or orange top.